This article was last updated Oct 25, 2018, but some terms and conditions may have changed or are no longer available. For the most accurate and up to date information please consult the terms and conditions found on the issuer website. If you’re looking to finance tires or upcoming auto services at Goodyear, you may have heard of the Goodyear Credit Card. This $0 annual fee store card can only be used at Goodyear, and can provide discounts and special financing offers on your eligible purchases. You may be tempted to finance your costly tire purchase, but beware there are deferred interest charges that make the special financing offers a huge risk. We recommend avoiding this card’s special financing offers and only taking advantage of the exclusive cardholder perks that include oil change discounts and free tire rotation. 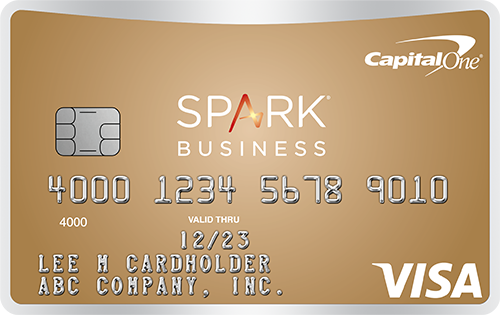 If you need a card for financing purchases, we have some great recommendations toward the end of this review that can provide longer interest-free periods with better terms. We’ll review the special financing offer and cardholder benefits provided by the Goodyear Credit Card and provide better alternatives for your auto purchases. No interest if paid in full within 6 months. Applies to purchases of $250 or more. After the interest-free period, there’s a 30.24% variable APR. 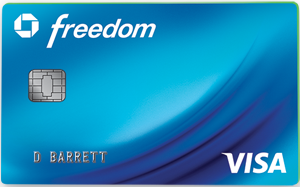 While this may seem like a decent offer, you can easily find cards that provide interest-free periods up to 21 months. 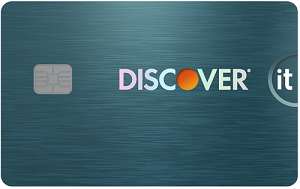 And, alternative cards from the major banks don’t have deferred interest, which we explain more in the next section. Many store cards charge deferred interest — which means if you take advantage of a special financing option and don’t pay it in full before the promotional interest-free period ends, you will incur all the interest you would’ve been charged during the interest period. To avoid deferred interest charges, make sure you pay your entire balance in full before the promotional interest-free period ends. Continuing to carry a balance post-special financing period defeats its purpose and may cause you to fall into debt — the interest rate is extremely high at 30.24% variable APR. Oil change discounts: Get $5 off any oil change when paying with your Goodyear Credit Card at participating stores. If you’re looking for an auto-store card with a lower APR, the Firestone Credit Card is an OK choice. The Firestone Credit Card has a slightly lower APR at 28.80% fixed, compared with the Goodyear Credit Card’s 30.24% variable APR. If you carry a balance on your card, the Firestone Credit Card can save you a bit on interest charges. However, you should make it a point to pay each bill on time and in full with either card, since the APRs are very high. Both cards offer the same 6-month, interest-free period with deferred interest, but the Firestone Credit Card has a lower minimum spending requirement at $149, compared with the Goodyear Credit Card’s $250. You really shouldn’t finance small purchases, so this shouldn’t be a major deciding factor. While some may like the lower APR and lower spending requirement of the Firestone Credit Card, the only added perks are monthly deals and coupons. In comparison, the Goodyear Credit Card has a range of benefits including free tire rotation, rebate offers, oil change discounts and other offers. If you want a card that can provide you more benefits, the Goodyear Credit Card is a better option. Special Financing Offer No interest if paid in full within 6 months. Applies to purchases of $250 or more. No interest if paid in full within 6 months. Applies to purchases of $149 or more. The alternative cards mentioned below provide longer intro periods than the Goodyear Credit Card, no deferred interest terms, and the ability to use your card on all purchases outside Goodyear. Plus, some cards may offer rewards and other benefits. The Goodyear Credit Card is ideal for consumers looking to take advantage of the added perks that come with the card — whether it’s the oil change discounts or free tire rotation. If you’re looking to finance tires and auto services, we don’t recommend using this card since there are deferred interest terms. You’d be better off using one of the alternative cards mentioned earlier that provide longer intro 0% APR periods and no deferred interest. (11) Over the Past 60 Days!